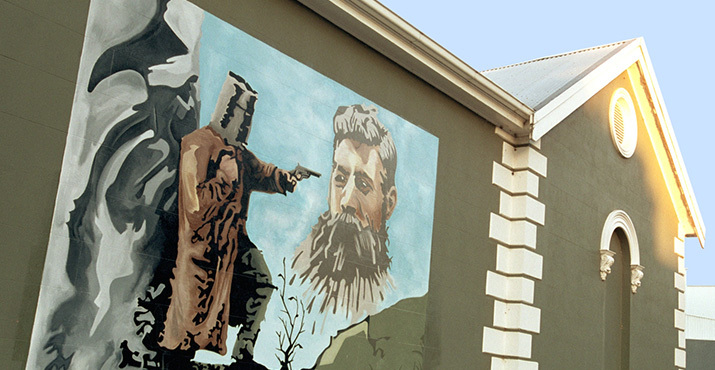 As the major town closest to Ned’s home, Benalla was the epicentre of Kelly’s bushranging days and was police headquarters for the Kelly Gang manhunt. 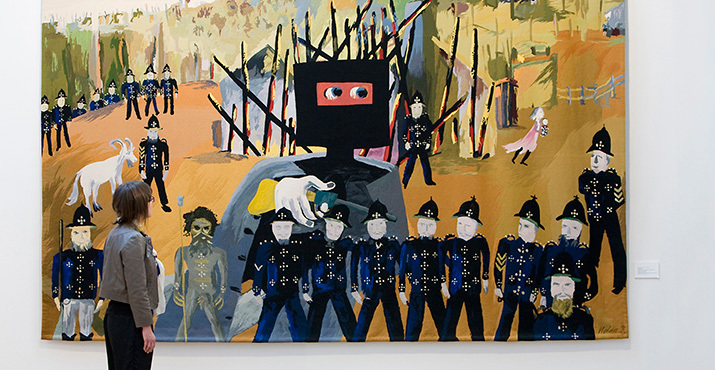 Following the shooting of the three policeman at Stringybark Creek, a special police task force was set up here to coordinate the two-year manhunt for the Kelly gang. The hunt for Ned’s mentor, Harry Power, was also coordinated from here and an Aboriginal tracker based at Benalla was used to finally hunt him down. 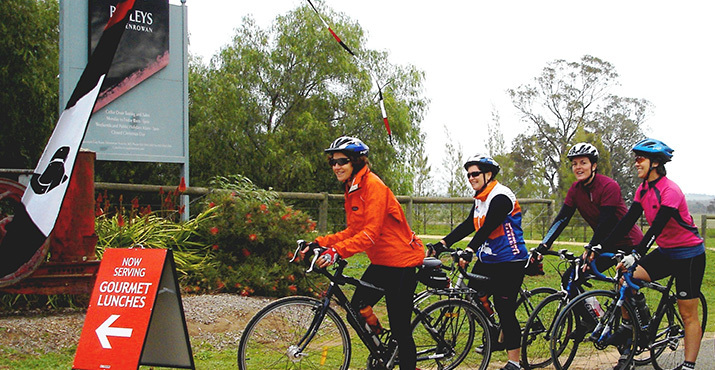 The Benalla Kelly Trail takes in the major Kelly gang sights in and around Benalla. 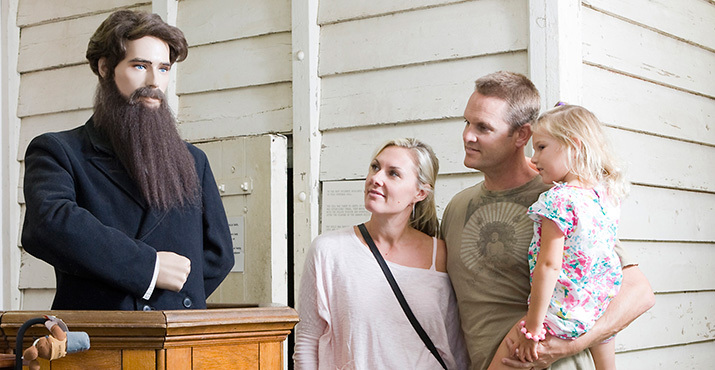 A brochure is available at the Visitor Information Centre. Significant sights are listed below. Before European settlement, the Taungurong people lived in the area. Hume and Hovell passed by in 1824, but the area wasn’t settled until 1838 when Revered Joseph Docker set up a run here and called it Benalla Run (apparently from the indigenous word for musk duck). Following an attack by indigenous people on pastoralists (the Faithful Massacre), a police station was set up in 1838-9. The Broken River Post Office was opened in 1844, in 1847 a bridge over the Broken River was built and in 1861 the town of Broken River was proclaimed. Gold was mined from the 1850s at nearby Violet Town and in the following years closer to Benalla. Today the town of Benalla has a population of over 10,000. Its facilities include an art gallery, performing arts and convention centre, aquatic centre, bowls club, sporting grounds, a racecourse, golf club, gliding club and botanical gardens. A major feature of the town is Lake Benalla, created when the Broken River was dammed in 1974. 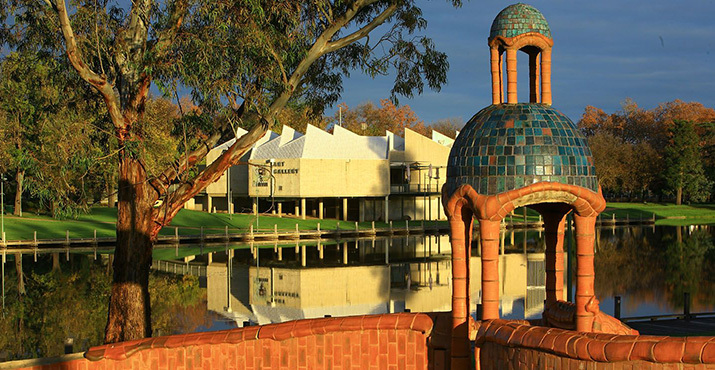 Aside from the Kelly story, popular attractions for visitors include the Benalla Art Gallery including the Gallery Café and the region’s food and wine. 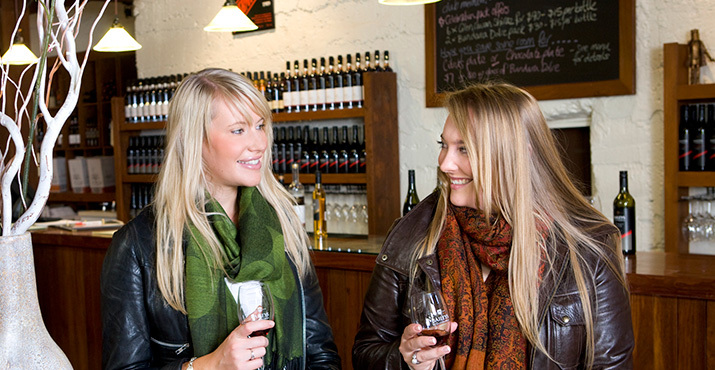 Nearby wine region of Glenrowan meet the winemakers and sample some great wines and stories. Also enjoy a boutique beer the BlackDog Brewery where James Booth has joined his passion of beer and wine at the Booths family’s Taminick Cellars winery. Benalla has five pubs: the Commercial Hotel (est. 1860), Famers Arms Hotel, North Eastern Hotel, Royal Hotel and the Victoria Hotel. In additional there are a number of cafes and restaurants offering Italian, Chinese, Indian and Thai as well as dining at the Benalla Bowls Club and Benalla Golf Club. 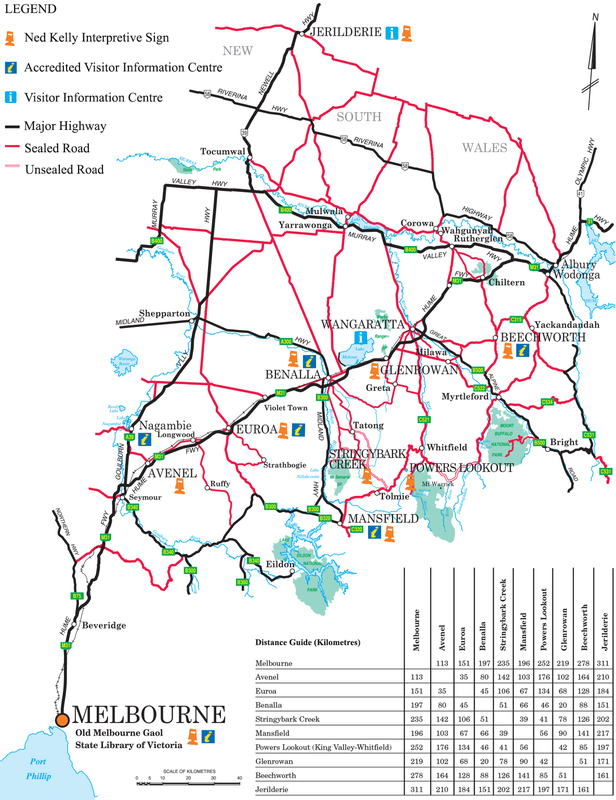 Benalla is 200km north of Melbourne, 48km north from Euroa and 43km south-west of Wangaratta, both along the Hume Highway. Trains from Melbourne to Wodonga and Sydney stop here.